Autumn Specials valid from 1 April - 30 June 2019. *Dedicated cam options are subject to availability on the day and can not be pre-booked, on request only. *A $35 Australian Parachute Federation + administration levy is payable on arrival, per person. 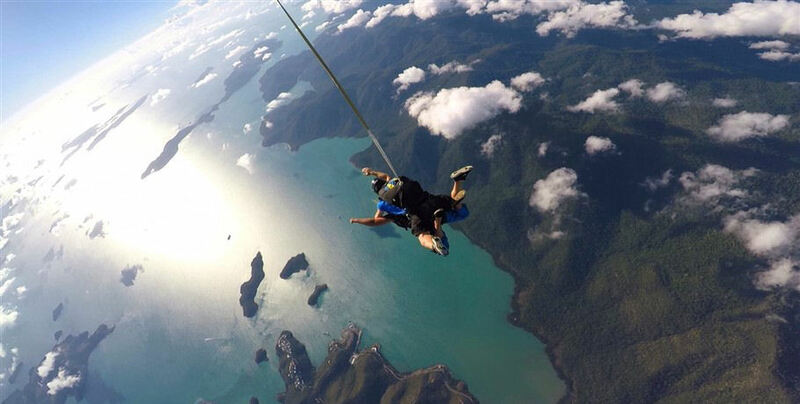 **Whitehaven Beach Skydive is only available Wednesday afternoons. 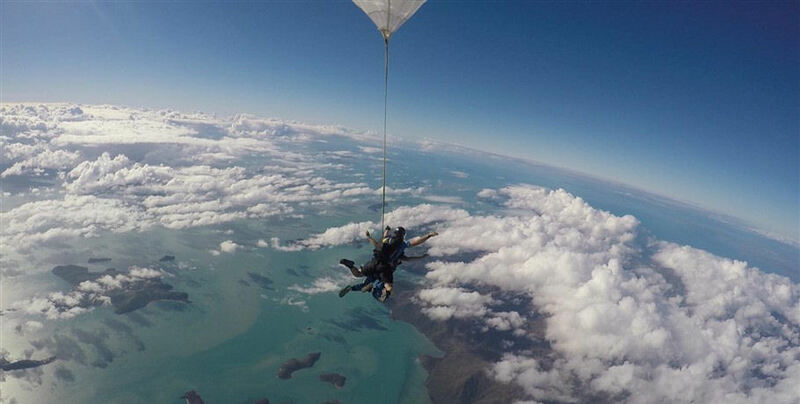 Jump from 15 thousand feet with Skydive Airlie Beach- providing the best views in Queensland! 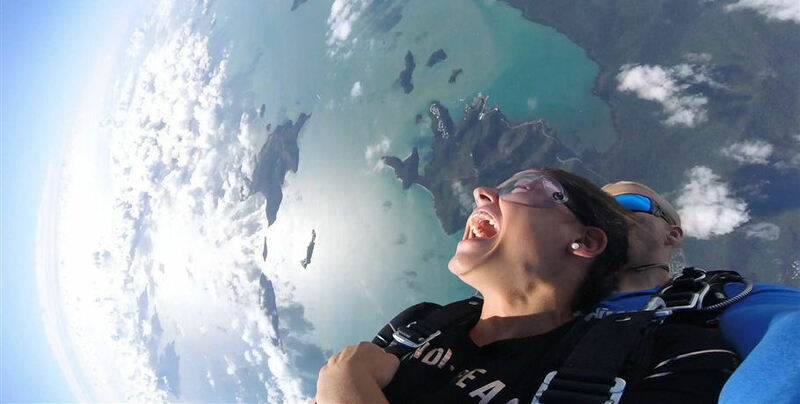 The drop zone for this insane experience is right over the world-famous Whitsunday Islands and Great Barrier Reef Marine Park. 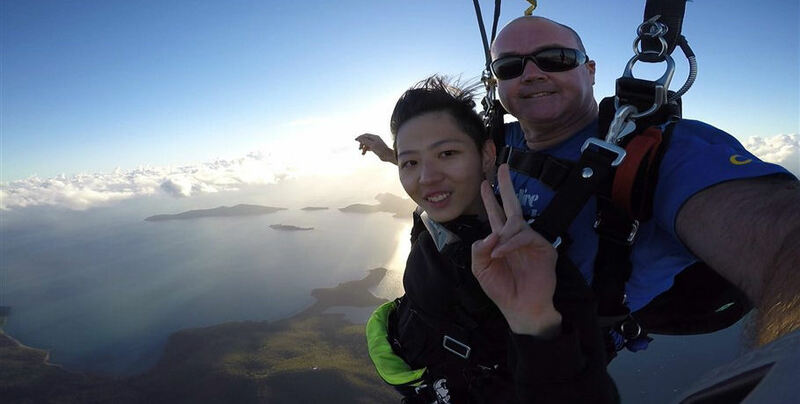 You will experience an incredible freefall for up to 60-seconds at thrilling speeds of over 220km/hr- then you will float for 5-7 minutes of stunning views over the Coral Sea. 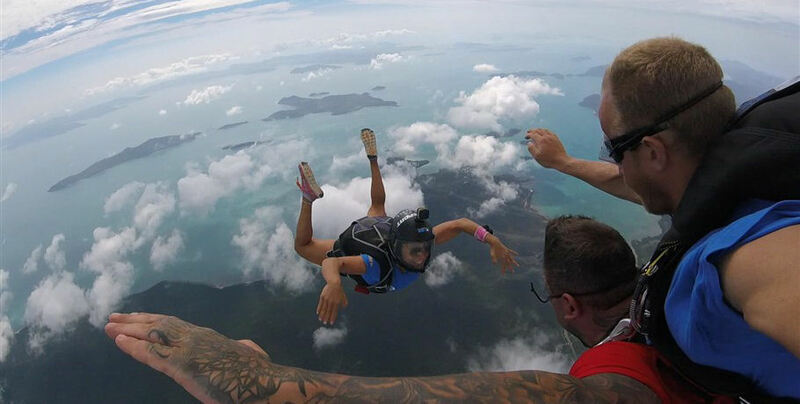 Skydive Airlie Beach are specialists in tandem skydives and offer a range of other products for the more experienced diver. Push your boundaries and step outside your comfort zone with this adrenaline filled experience, strong enough to make anyone feel invincible! 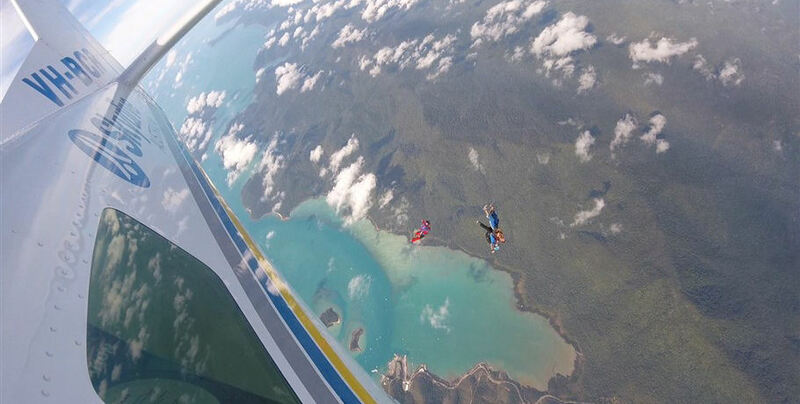 And for a special thrill, you can now skydive onto the world famous Whitehaven Beach. 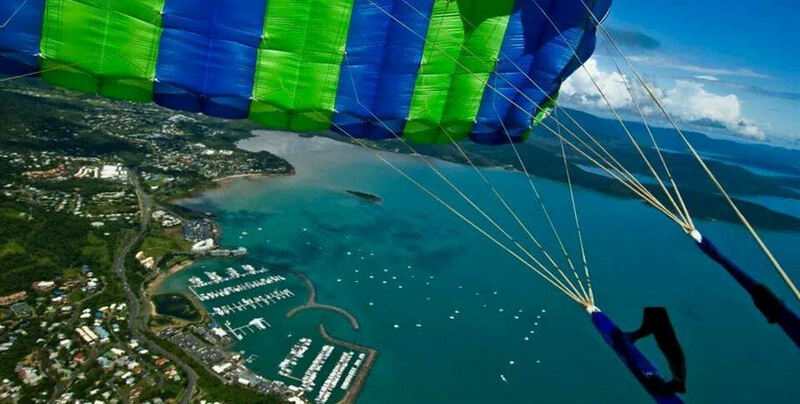 You can either make your own way to the Skydive Airlie Beach office for your check in time, or they can provide you with a courtesy pick up service from your accommodation. Once you arrive at the office, you will be welcomed by one of the friendly crew members who will take you through the necessary safety procedures and paperwork. 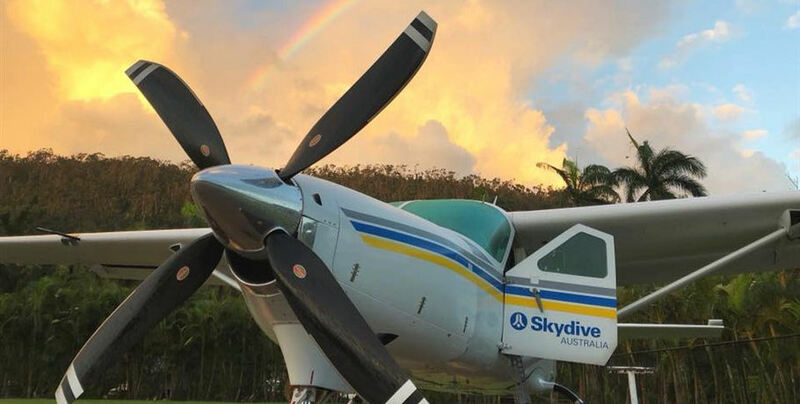 Your Skydive Airlie Beach crew will collect the remaining balance for your skydive and APF levy, if you haven’t already, you can also book your handicam video/photo package; this includes a 5-7 minute video of your skydive, filmed by wrist-mounted GoPro. You will receive over 100 photos of your skydive, saved to a custom Skydive USB for easy uploading and sharing with friends and family! 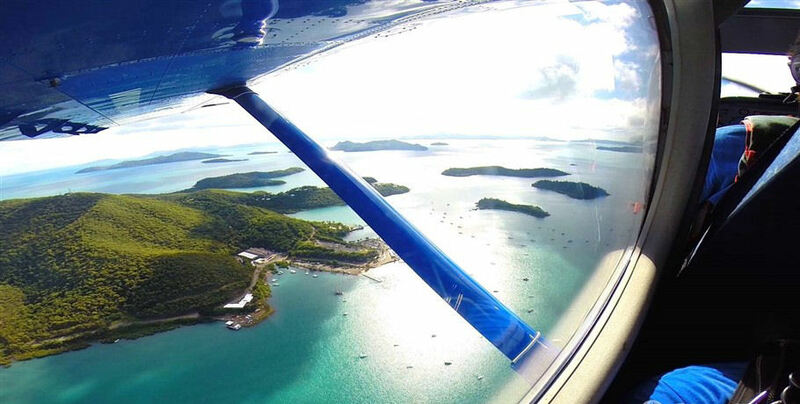 After your safety briefing you will be transferred to the Whitsunday Airport, a short 10 minute drive away. Once you reach the skydive terminal, you will meet your awesome instructor for the first time. Your experienced instructor will now gear you up ready to jump, remind you of the safety procedures ang get you ready to meet the plane. You'll then walk over to the aircraft and board with your instructor. Get prepared for the incredible experience that happens next! 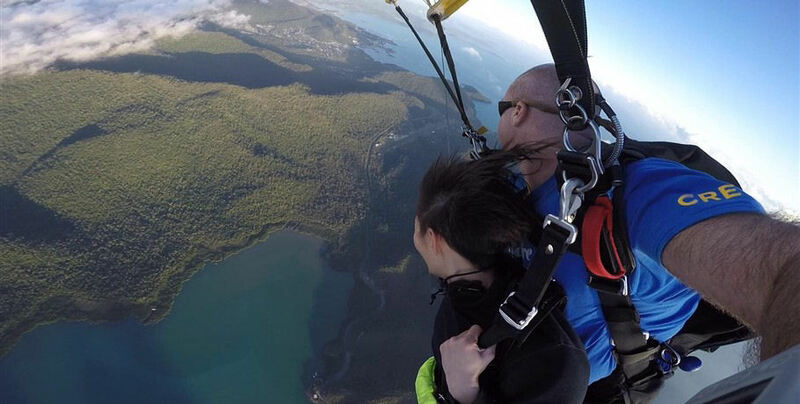 The climb to altitude is breathtaking, you will be able to see gorgeous views over Airlie Beach and the Whitsunday Islands as you ascend, easing any nerves you may be feeling. Once you have reached your desired altitude, your instructor will secure both of your harnesses so the two of you are fully attached, and you'll move to the door together. Then... jump! 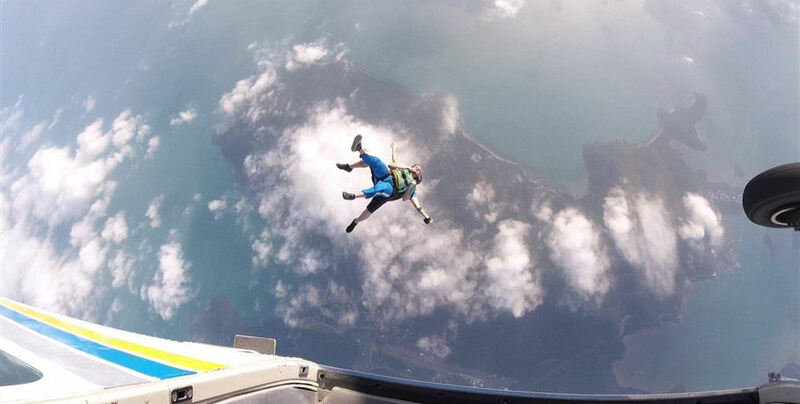 The moment you leave the plane and go into freefall is indescribable. When the time comes, your instructor will deploy the parachute. At this point, everything slows down and becomes peaceful. You'll be able to get your breathe back, and to talk to your instructor, if you like. The views over Airlie Beach are astounding, and you'll have around 5-6 minutes to enjoy them as you travel back down to earth. For landing, your instructor will bring the parachute to its slowest forward and downward speed, so expect a gentle arrival, landing in a seated position. You'll then be disconnected from your instructor, and together you'll return to the spectator area, where you'll be reunited with your family and friends. 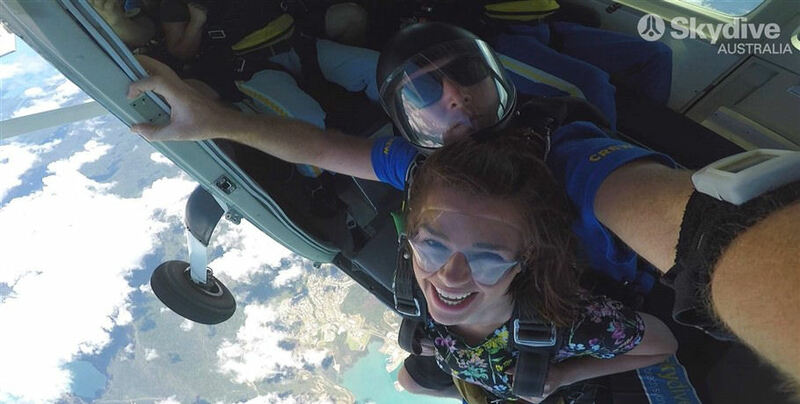 After your skydive, you will be taken back to the main check in office in Airlie Beach and the skydive staff will get your video/ photo package ready for you. You can collect them on the same day, as well as a certificate of your skydive. All paperwork, safety briefing and gear-up must be completed. At the time of booking, validity of various package offers should be confirmed as SA reserve the right to change without notice. All bookings are given an ‘Arrival/Check in’ time only. Please note this is not a ‘skydive’ time. Whilst SA endeavour to complete an individual’s tandem skydive within 4 hours of arrival, SA advise you to arrive with no time constraints – you should plan for this to be a whole day’s activity. As safety is SA’s main concern, factors such as wind, cloud, rain, thermal turbulence etc. and other factors such as air traffic can affect the time it takes to complete your skydive activity. Weather can change for better or worse in minutes, and you will be unable to skydive unless you are at SA’s Drop Zone. 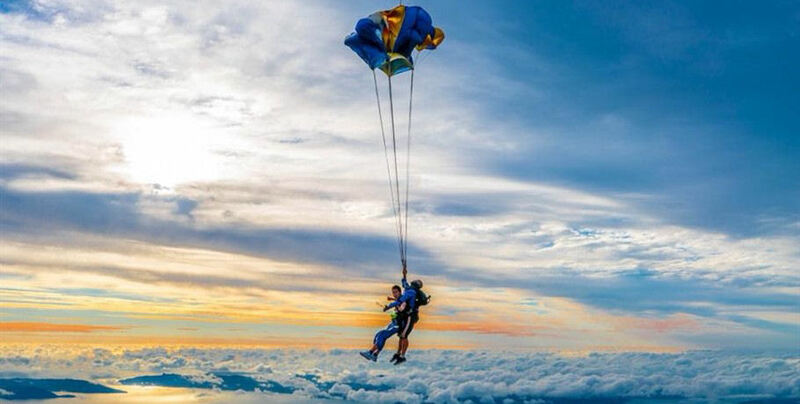 Weather conditions and other unforeseen circumstances can also require SA to alter the altitude of the skydive. As aircraft are mechanical and periodically become unavailable, SA reserve the right to change aircraft type without notice. On occasion, these aircraft changes and Air Traffic Control (ATC) may require SA to change the required altitude and number of participants in a plane. Further, SA reserves the right to reschedule your skydive. Medical conditions which could affect your safety should be discussed with your doctor prior to your booking. No alcohol or “recreational” drugs are to be taken for at least 8 hours prior to arrival. Please advise SA if you are taking prescription medication. Minimum age is 12 years old and all minors must have a legal guardian present on the day of the tandem skydive. All persons are subject to Tandem Master assessment. Weight over 110kg is subject to DZSO/Tandem Master assessment and different weight cut-off limits may apply at each location. All persons 95kg and over will incur a surcharge of $50.00 AUD (inclusive of GST). Those 105kg and over, a surcharge of $75.00 AUD (inclusive of GST) applies. Those 115kg and over, a surcharge of $100.00 AUD (inclusive of GST) applies. Discount coupons are valid only for direct bookings with SA as specifically stated on advertisement. Booking agents are not obliged to accept discount coupons. All Public Holidays incur the regular tandem skydive weekend rate. All online bookings incur a $4.95 per transaction fee (inclusive of GST). All bookings are final, no refunds are given for change of mind or change of experience to a lesser value. Booking payments are per person (individual). Booking payments are non-refundable but are transferrable. 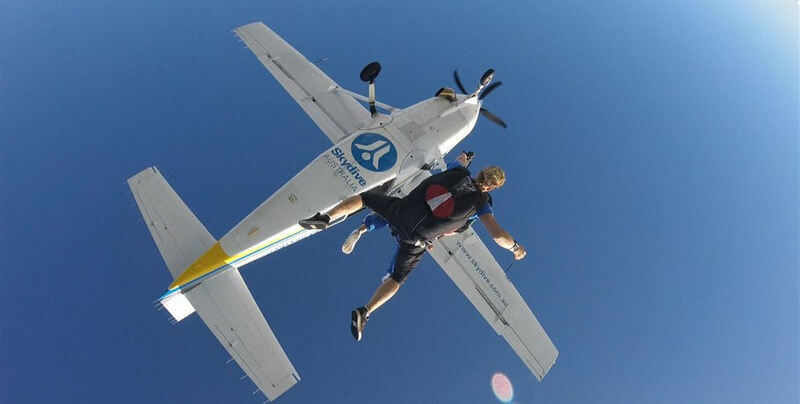 All skydives include a $110 administration fee which is non-refundable. To change your booking to a different date and time, SA requires 48 hours notice or your booking payment(s) will be void. 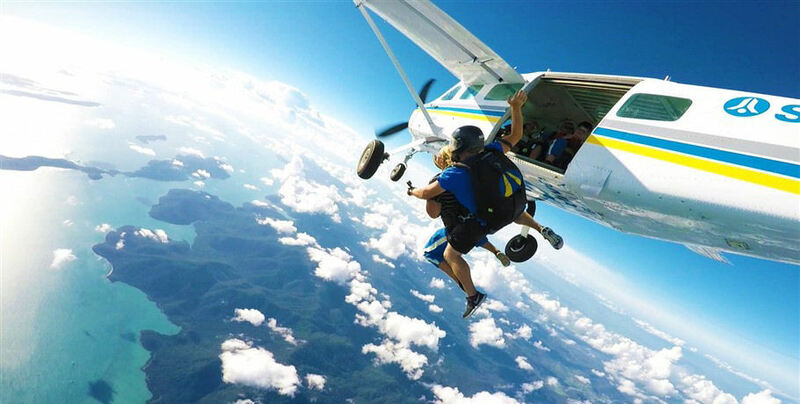 Rebooking your skydive without 48 hours notice will incur a $110 rebooking fee. Failure to turn up at the ‘check-in’ time will result in a 100% cancellation fee. 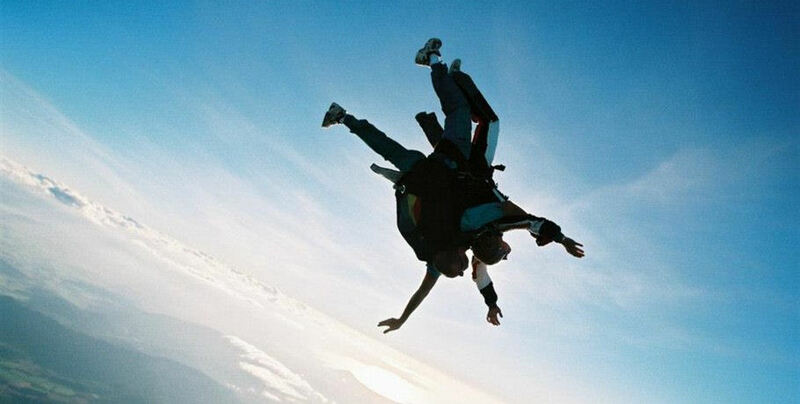 Failure to go through with your skydive will forfeit your jump, no refunds will be given. All bookings are final, no refunds are given for change of mind or change of experience to a lesser value. 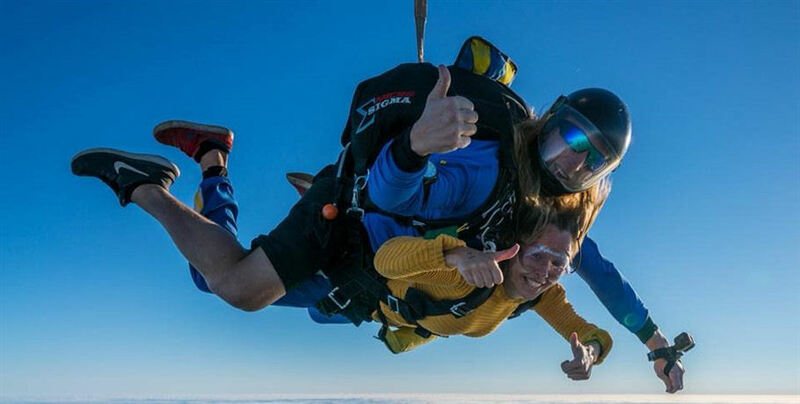 If your skydive is cancelled due to weather or other unforeseen circumstances, you will be required to book for another day, for the same experience. Upgrade fees for changing to weekend experiences or different locations must be paid in these circumstances. 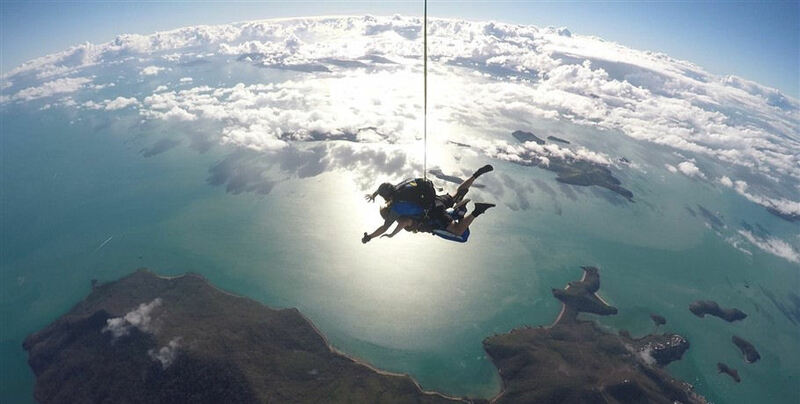 Skydives can be transferred to another Skydive Australia location, any price upgrades must be paid by the customer. Cash refunds will not be available when changing to an experience of lesser value. Vouchers are non-refundable, not redeemable for cash, but are transferable. The Purchaser must advise SA in order to transfer a gift voucher. Gift vouchers purchased directly through SA for the NSW drop zones including Sydney-Wollongong, Newcastle, Hunter Valley and Byron Bay are valid for 3 years. All other gift vouchers purchased directly through SA will expire 6 months after purchase. Gift Voucher extensions are available for $50 for a 3 month extension. Failure to show on your scheduled date and time will render your voucher invalid. Treat your voucher like cash and take care not to lose it. Remember to present your voucher on arrival to check-in as without it, you are unable to skydive. Lost or stolen gift vouchers are non-refundable and no replacements are available. Where the cost of your experience is greater than the value of your voucher, you will be required to pay the difference. Where the cost of your experience is less than the value of your voucher you will not be entitled to a cash refund. If your voucher is lost or stolen, you are unable to redeem your skydive and will be required to purchase a new voucher. When booking an Adventure Package, purchasers must also agree to the terms and conditions of the relevant partner suppliers which can be obtained by contacting these suppliers directly. Videos and photographs purchased through SA remain the copyright of the videographer who took the footage and they own and retain the right to the footage and photographs. A licence agreement exists between SA and the respective videographer who took the respective footage. Such footage may be used by SA for company marketing purposes and reproduction of videos sold, and may only be used or reproduced by the purchaser or recipient for private or domestic purposes and must not be used for any commercial purpose, including promotion of any supplier or any supplier’s products or services without the videographer’s and SA’s prior permission. Should you not want any of your footage or photographs uploaded to SA social media platforms, or used in company marketing, it is your responsibility to advise manifest prior to your jump. Please be advised that should there be any technical issues relating to camera/dubbing equipment, no refunds can be made for the individual skydive as the filming and skydive are two separate products. If we are unable to provide you with the skydive video or photo product due to technical issues a refund for the video or photo product purchased will be issued. If only a portion of your video or photo product fails you will be issued with a refund for the balance of the amount paid less the value of the product actually received. 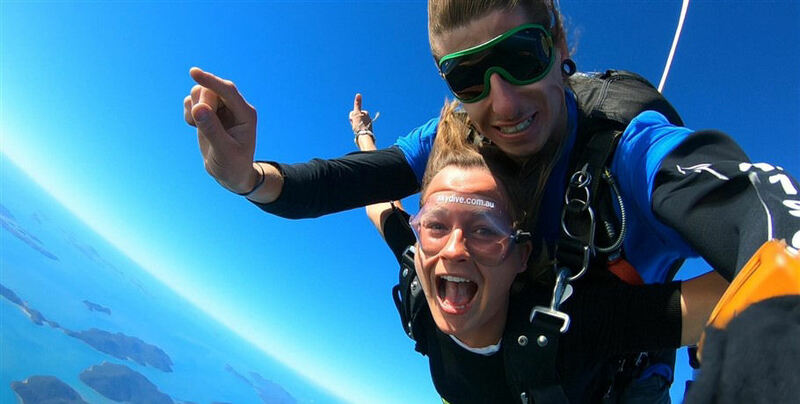 Videos purchased through SA will be tested on the day of your tandem skydive. Videos are available to all purchasers for viewing on that same day, should you wish to view it. Your acceptance of it on the day will be deemed as your approval of the video being in full working order. No refunds will be made available after your departure from our offices for those videos that are considered not to be in full working order. Whilst it is not mandatory to book a video or photographs it is advisable, as on some occasions a late change of mind may result in disappointment. When purchasing from SA your financial details are passed through a secure server using the latest 128-bit SSL (secure sockets layer) encryption technology.128-bit SSL encryption is approximated to take at least one trillion years to break, and is the industry standard. If you have any questions regarding our security policy, please contact SA on info@skydive.com.au.